17cm USING SYNTHETIC BRISTLES TO GIVE SOFT AND NATURAL LOOK ..
A multifungsi make up brush is specifically designed to create smooth, flawless and even finish make up on your face. ..
Pensil alis putar tanpa perlu diraut .. 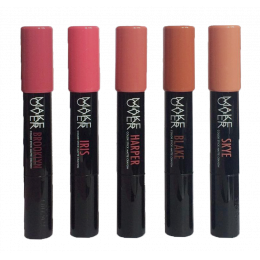 This 5 color palette concealer is one of the most important professional makeup tool perfect to camouflage any kind of skin imperfections. Mix the color, find your match and experience flawless skin. ..
Lipstik crayon dengan hasil matte. Teksturnya creamy, mengandung moisturizer sehingga hasil tidak kering di bibir.Shade :- 101 Brooklyn- 102 Iris- 103 Harper - 104 Blake- 105 Skye.. 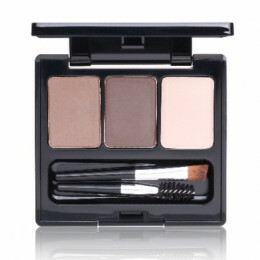 The products are designed with natural colors are durable for filling, forming, and reinforce the eyebrows. 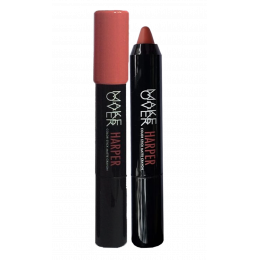 Available in two colors that can be combined according to the needs, apply with a brush and ..
Add depth and intensity to your face, starting with your neat and nice eyebrows. Firm and dry texture ensures precise definition and perfectly redrawn eyebrows. Long wearing and easily blended. ..